Ipshita Sen of Saffronart shares a note on Atul Dodiya’s current exhibition at the National Gallery of Modern Art in New Delhi. New York: Atul Dodiya, is one of India’s leading and most significant contemporary artists. 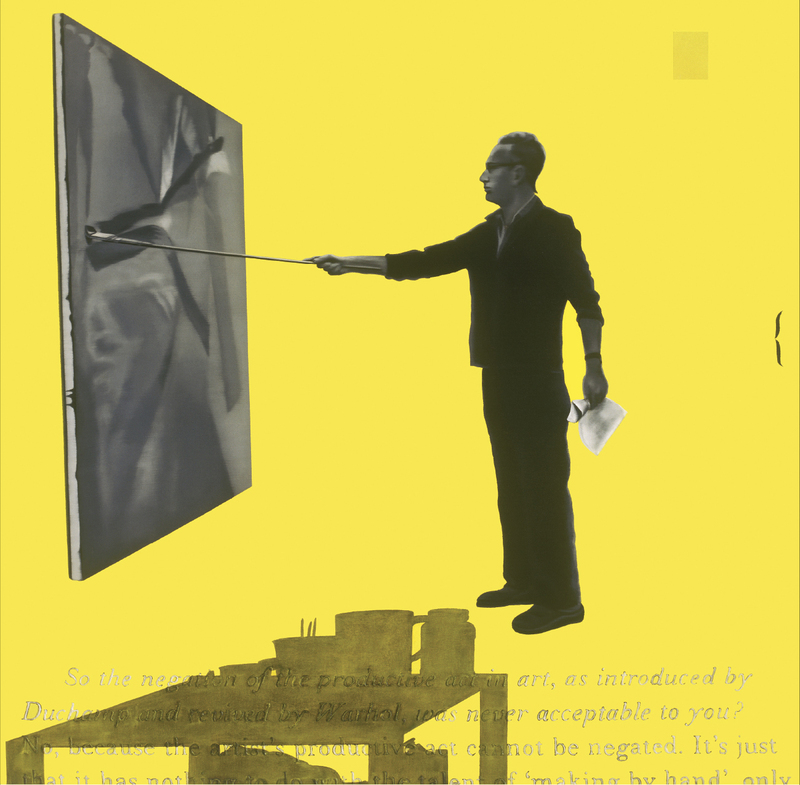 His solo exhibition ‘ Experiments with Truth’ at the National Gallery of Modern Art in New Delhi, curated by cultural theorist and poet Ranjit Hoskote, brings together for the first time over 80 works by the artist over his prolific career from 1981-2013. It will also show works made by the artist during his time as a student at the J. J. School of Art in the early 1980’s. The exhibition highlights Dodiya’s versatile artistic practice as he experiments, embraces and explores with various mediums- oil, acrylic, watercolor, mixed media works, sculpture installations, assemblages and photography. His tendency to work with different media and refusing to stick to a homogenous style is distinctive of Dodiya’s work. 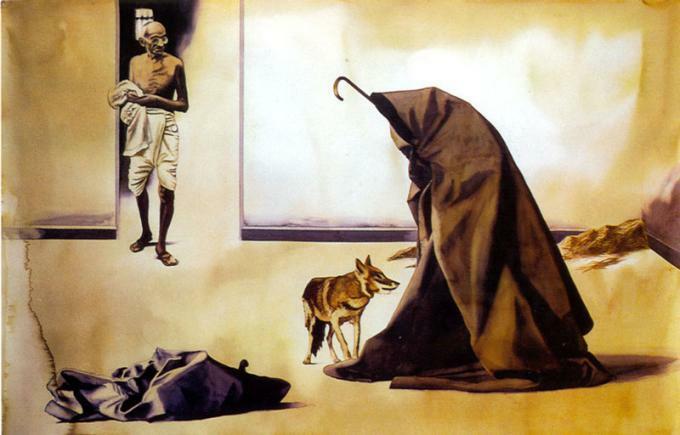 It is this ability of working across various mediums and juxtaposing Western art history and popular Indian culture through his work, that marks his oeuvre and makes him one of the most sort after and distinguished contemporary artists in India. Dadagiri, 1998. Oil, acrylic and marble dust on canvas. The audience is confronted with a variety of forms and mediums capturing the contrasting nature of change. 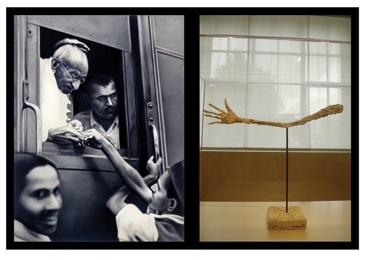 Dodiya being highly influenced by Mahatma Gandhi and his philosophy puts the exhibition in perspective and forms an invisible string connecting the political, cultural and spiritual contexts in his expansive work. Atul Dodiya’s own artistic journey has been considered as constant experiments with the ‘truth’. Collecting for the Harijan, 1944. 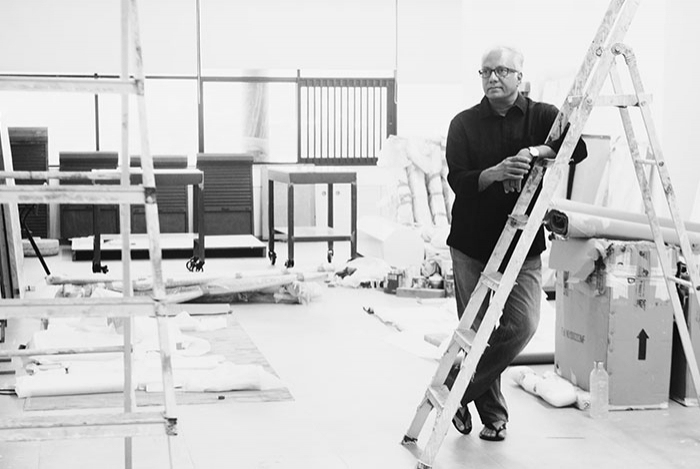 Strong influences of artists such as Nandalal Bose, Benodebehari Mukherjee, Marcel Duchamp, Joseph Beuys, Tyeb Mehta, Gerhard Richter and Bhupen Khakhar can be traced in Atul Dodiya’s art. Works by these masters will also be on display as reference points, enabling the visitor to comprehend Dodiya’s work more effectively. Atul Dodiya pursued his bachelors of Fine Arts from Sir J. J. School of Art in Mumbai. He furthered his academic training at the École des Beaux-Arts in Paris from 1991 to 1992 subsequent to a scholarship awarded by the French Government. He currently lives and works in Mumbai.